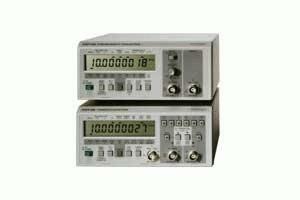 The CNT-66 and CNT-69 are high-quality, easy-to-use budget counters for accurate and reliable measurements. The units use reciprocal frequency counting, giving 7-8 digits resolution even on low frequency measurements. The optional high-stability MTCXO time base has a stability in the order of 0.1 ppm. The no-compromise input design of these counters, provide smart auto triggering to handle any type of input signal, plus variable sensitivity and other noise immunity functions. The counters are rugged, input-protected and reliable with exceptional MTBF figures of up to 70000h. They have excellent EMC performance. The optional GPIB interface turns CNT- 66 into the lowest cost, fully programmable timer/counter available from any quality manufacturer.